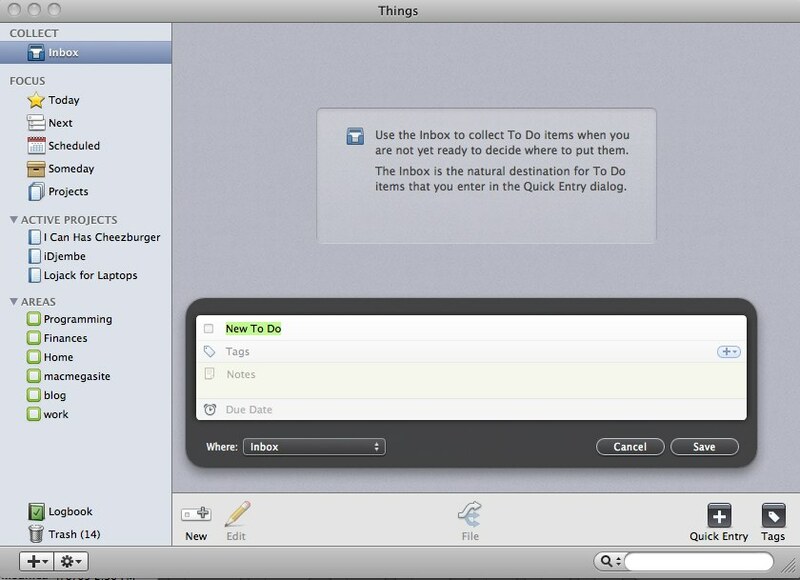 The Hit List is the latest entry in the crowded field of GTD software for the Mac. The most notable thing about The Hit List is its beautiful, elegant user interface, simplicity, and speed. It has become one of my favorite applications because it just “feels right”. The interface looks just like a note pad. To create a new task, you simply hit return and start typing. Despite the apparent simplicity, it has some sophisticated features such as sub-tasks, which can be created as an outline, and time estimates. 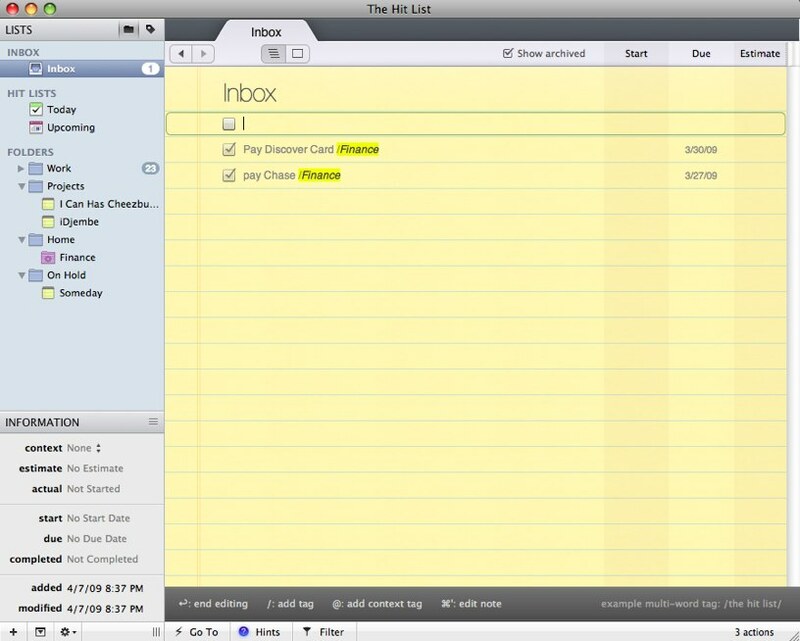 The Hit List can sync with iCal, and they promise an iPhone app, although it isn’t available yet. The Hit List was the main reason I bought the MacHeist bundle; I prefer to think of it as a $10 discount on The Hit List with the other applications as a bonus. Before I got The Hit List, I was using Things, which is also a powerful & sophisticated task management application. Although Things also has an attractive user interface, after using The Hit List, it just feels kind of clunky. Instead of hitting return to create a new task, you hit Cmd-N, which brings up a quick entry window. Things also lacks the outline structure with sub-tasks. One current advantage is that there’s also a Things app for the iPhone. Unfortunately they have to sync on the local network. Update: It was pointed out on Twitter that you can create a new task in Things by simply hitting the spacebar, which creates a task inline without the popup. This entry was posted in Macintosh and tagged Software. Bookmark the permalink.